Mr. Zakir H. Alvi is a veteran IR Consultant with international acclaim. He is Lead Consultant at of 360 Degree Consulting. Alvi obtained his LL.B. degree from University Law College, Lahore. 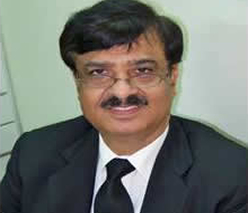 He has been practicing law for the last 30 years before the Labour Courts, NIRC, Civil Courts, and District Courts & High Courts in all the four provinces of Pakistan. He has extensively litigated labour related cases in court, carried out contract negotiations, restructuring, retrenchments, advised on employee issues in mergers and acquisitions and employee relations issues arising in organizations. His exposure also includes negotiations with IUF. He has spoken at various conferences, seminars and symposia and conducted several workshops at Islamabad, Lahore, Multan & Karachi which were attended by Senior & Middle Managements of different National/Multinational Companies dealing with Effective Employee Relations.